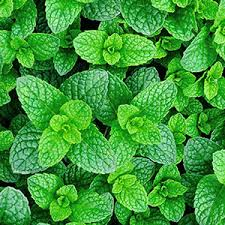 Mint has very dark green leaves. Used in a variety of sauces, jellies and hot and cold beverage additions. Makes a lovely garnish and adds to the taste of freshly cooked vegetables.